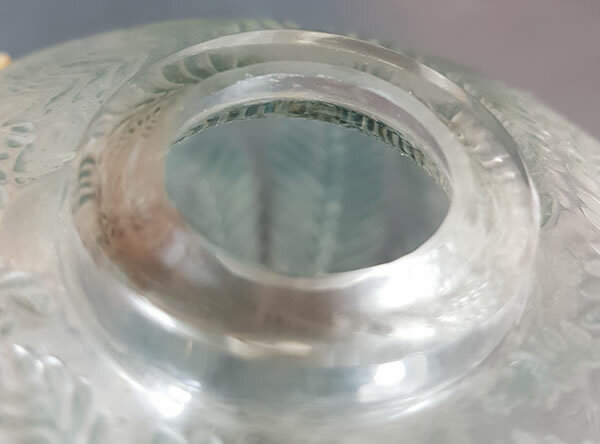 Rene Lalique Vase Palmes: A re-offer from February 2, 2019 of the Palmes Vase only. Now Lot 146 Est: €200 - €300. A re-offer from December 1, 2018. Now Lot 124 with the same Est. 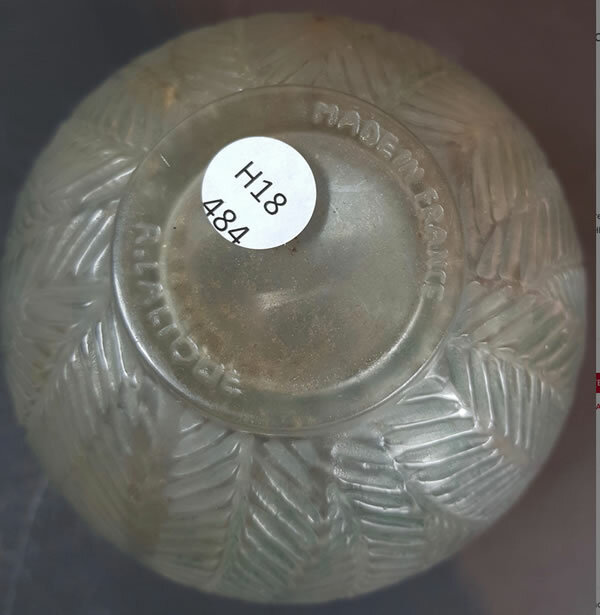 Also newly offered on February 2nd was a Saint-Francois Vase as Lot 403 Est: €200 - €300 that is not being re-offered. 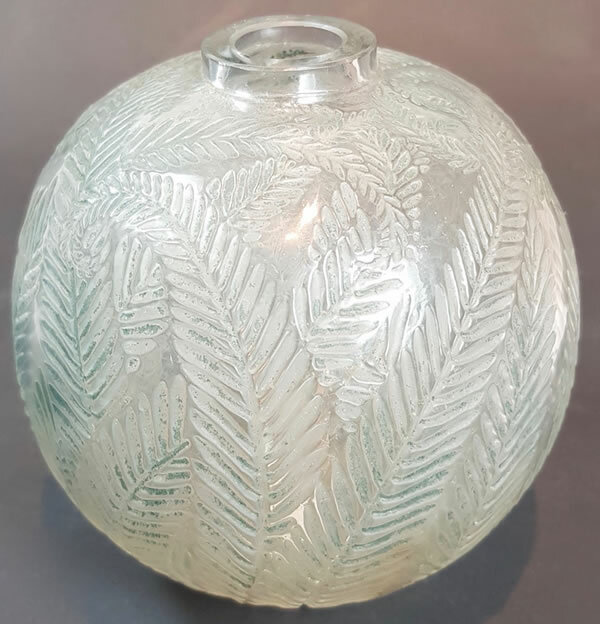 11 cm tall ball shaped clear glass with an all-over leaves motif under a short narrow undecorated neck R. Lalique Vase. Lot No. 315 Est: €300 - €400.